Imagine that it’s fifteen years from now and someone announces the successful construction of a large quantum computer. The New York Times runs a frontpage article reporting that all of the public-key algorithms used to protect the Internet have been broken. Users panic. What exactly will happen to cryptography? 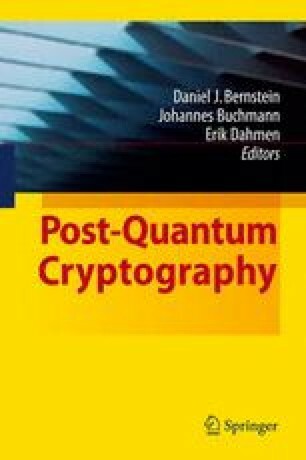 Perhaps, after seeing quantum computers destroy RSA and DSA and ECDSA, Internet users will leap to the conclusion that cryptography is dead; that there is no hope of scrambling information to make it incomprehensible to, and unforgeable by, attackers; that securely storing and communicating information means using expensive physical shields to prevent attackers from seeing the information—for example, hiding USB sticks inside a locked briefcase chained to a trusted courier's wrist.